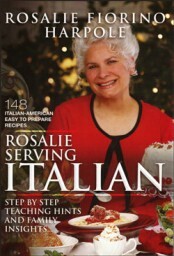 Rosalie Fiorino Harpole is the author of two cookbooks, Rosalie Serving Italian and Rosalie Serving Country. Her cookbooks can be found in Barnes &amp; Noble and on E-books. 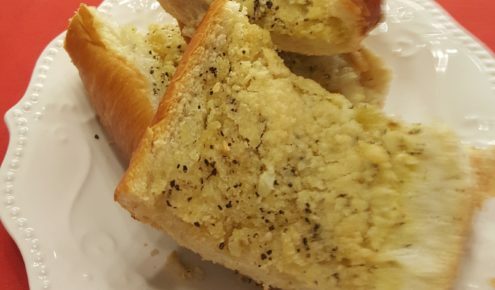 She is currently working on a third cookbook, Rosalie Serving Italian (second edition) featuring her new Italian recipes and also her Best Loved Recipes. Rosalie’s cookbooks are also featured in many of the Italian Groceries including Viviano &amp; Sons, Digregorio’s, and Urzi’s on “The Hill” in St. Louis, MO. Rosalie’s Services include: Catering for small and large groups, Teaching Cooking Classes, Hosting Book Signings at various locations, and doing Motivational Speaking for schools, church groups, and home groups. 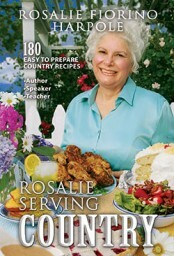 You will love this fun-filled author and especially her wonderful dishes.